1.Preheat the oven at 180°C. 2. For the White Sauce: Heat the coconut oil in a medium sized pot on a medium heat, add the cornflour and stir to make a roux (a paste). 3. Stir in milk, a little at a time, making sure to stir well so that no lumps form. 4. Bring the mixture to the boil, stirring constantly, so that the mixture thickens and becomes glossy (it should coat the back of a wooden spoon). Boil for a couple of minutes. 7. Add the miso, nutritional yeast, mustard and season to taste. 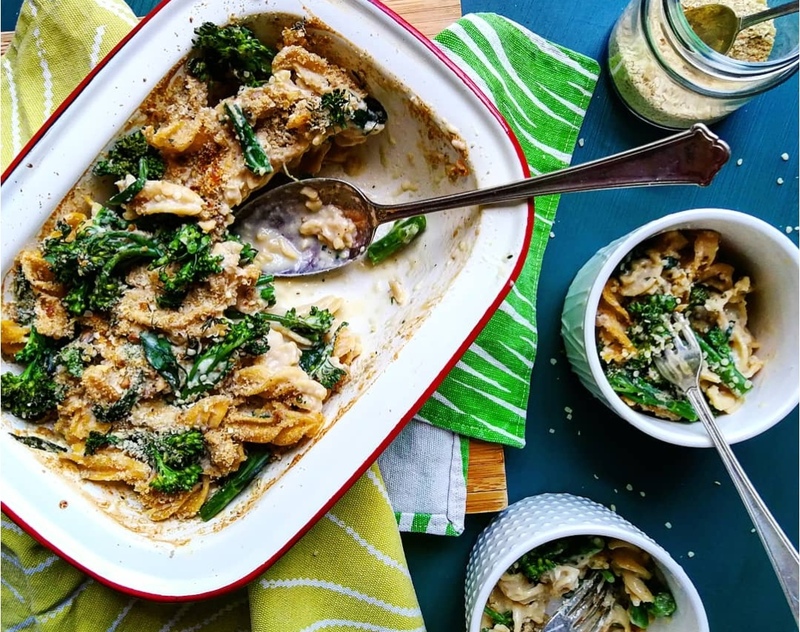 Remove from the heat, fold in the pasta and broccoli, then transfer into a baking dish, top with the sunflower sprinkle and bake for 15 minutes or until the top has become golden in colour. For the Carnivore: Add 2-4 rashes of streaky bacon (grilled and roughly chopped). IDEA: Scald the milk in a with the garlic clove, onion, thyme and bay leaf. Remove from the heat and strain the milk into a jug, discard the onion etc and set milk aside. Substitute or add roasted veggies to your mac ‘n cheese for easy variations.